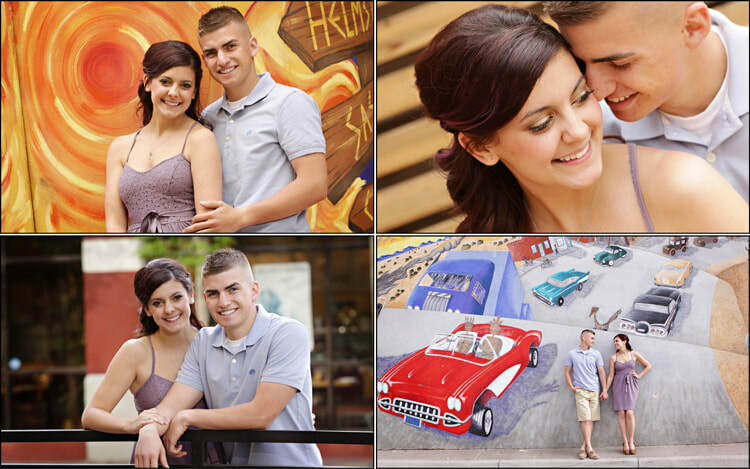 An Engagement Session is simply a fun and casual portrait session of the engaged couple prior to the wedding day. There are many great places to shoot around Albuquerque and Santa Fe such as Old Town, Downtown, Elena Gallegos Open Space and the Bosque. The photos from the Engagement Session can be used to create add-on products such as an Engagement Guest Book for the guests to sign at the wedding and they also make a great addition to the wedding album!